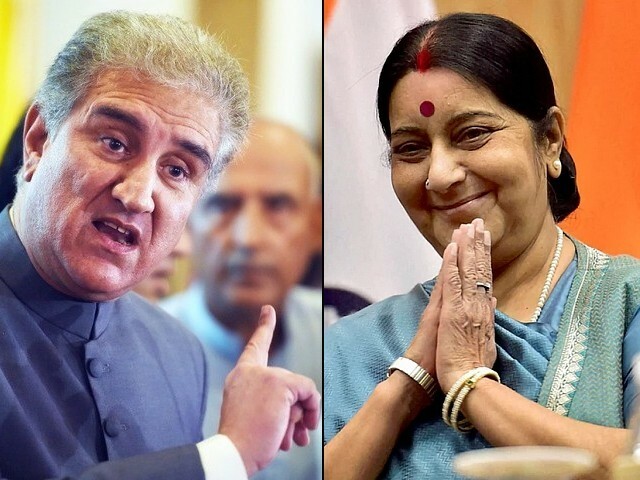 The OIC’s decision to extend an invitation to Swaraj despite Pakistan’s objections is the first and most obvious reason why Qureshi chose not to attend. The Organisation of Islamic Cooperation (OIC) held its 46th session of the Council of Foreign Ministers (CFM), in which it criticised India’s role in the Kashmir crisis. 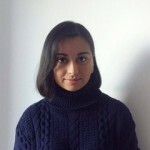 Making references to “intensified Indian barbarities” in Indian-occupied Kashmir (IoK), persistent violation of Pakistani airspace and illegal detentions in the state of IoK, the OIC’s resolution was met with a sharp response from the Indian spokesperson, who stated that the issue remains internal to India. Despite inviting Sushma Swaraj as the guest of honour to the summit, the resolution leaned more in favour of Pakistan by praising Imran Khan’s decision to return Indian Air Force (IAF) pilot Abhinandan Varthaman, whilst largely condemning India for its unfettered use of force against innocent civilians in Kashmir. Missing from the session, however, was Pakistan. The seat left empty by Shah Mehmood Qureshi represents two key issues worth considering. The OIC’s decision to extend an invitation to Swaraj despite Pakistan’s objections is the first and most obvious reason why Qureshi chose not to attend. This also goes back to the wider issue of blocking India, who currently does not even enjoy observer status in the organisation, from joining it altogether. The second issue relates to Kashmir not being mentioned in the final declaration adopted by 57 member states, but instead being referred to in separate resolutions and concluding statements. Whilst OIC rhetoric remains supportive of Pakistan, the former did not acknowledge its standpoint on Kashmir within the final declaration, in an attempt not to single out India as an aggressor. Throwing the dummy out of the pram? So, did Pakistan’s absence work in its favour? The OIC, despite inviting India to the summit, had made many attempts at convincing Pakistan to attend. However, even personal efforts made by the UAE and Saudi Arabia to bring Pakistan to the forum were futile. Although Pakistan validly launched a formal protest against India’s attendance, Qureshi’s actions may have ultimately proven counterproductive, given that the OIC was the best and only forum for dialogue on Kashmir. Sending junior foreign ministry officials in his place would have frustrated Saudi Arabia and the UAE, especially in light of their recent financial assistance to Pakistan. Given Pakistan’s position as a founding member of the OIC, choosing not to attend the CFM meeting was for the sake of protecting its credibility and image. It can be argued from a political perspective that Qureshi had little choice in the matter given that Pakistan’s formal protest against India’s invitation was ultimately not ceded to. Additionally, Qureshi’s attendance would have indirectly validated India’s observer status, which in turn could pave the way for permanent membership in the future. It was in Pakistan’s interest not to take such a risk, even though this had knock-on consequences for potentially productive dialogue on Kashmir. From a diplomatic standpoint, and in the wider context of the ongoing tensions in Kashmir, Qureshi missed an opportunity to place pressure on its rival in a setting where it enjoys significant backing from a number of influential OIC members. Not taking advantage of Pakistan’s longstanding influence within an organisation that does not provide India with such a platform, allowed the latter to score higher diplomatic points in the eyes of the international community. As the Pakistan Peoples Party (PPP) co-chairperson Asif Ali Zardari pointed out, Pakistan’s non-attendance somewhat detracted from the dignity with which it emerged immediately after the Kashmir crisis, and may in the long-term fuel India to push for further influence with its regional allies in the OIC. Despite having one of the largest Muslim populations in the world, India is not a member of the OIC and only recently enjoyed observer status in their meeting for the first time. Although Pakistan has previously been successful in blocking proposals for Indian membership since the time of Yahya Khan in 1969, there appears to be a shift in general sentiments which are now more welcoming of India to the forum than ever before. Previously, Pakistan could rely on the support of members such as Turkey, Iran and Jordan to deny access to Indian delegations in OIC meetings, whereas now, some of its allies have publicly defended and embraced India’s entry in the future. This is a worrying prospect for Pakistan, as it could diminish its leverage within the OIC. Against the wider backdrop of India’s strengthening ties with the UAE and Saudi Arabia, its membership of the OIC may in fact work to empower its unwavering stance on the issue of IoK. This was demonstrated most clearly in Swaraj’s 17-minute-long address in the CFM, which although made a powerful case for solidarity and unity between religious communities, did not take accountability of the atrocities committed by the Indian state against Kashmiri civilians. Moreover, the resolution stating that IoK remains a stubborn obstacle to the achievement of peace in South Asia, presented India with a chance to engage in meaningful dispute resolution with willing OIC members. However, the guest of honour rejected this opportunity – instead claiming that IoK is an integral part of India, and will remain an internal matter that cannot be subject to outside involvement. Whilst the Bharatiya Janata Party (BJP) hailed Swaraj’s participation in the summit as a victory, Indian National Congress deemed it a “huge embarrassment” and “diplomatic faux pas”, which served only to highlight that India stood isolated amongst a sea of voices who collectively accuse it of state terrorism. It is likely that India will staunchly maintain this position, which therefore begs the questions: Will India’s membership of the OIC entail positive and productive developments for the wider trajectory of peace in Kashmir? Or will this lead to another series of painful stalemates whilst the plight of Kashmiris continues to go unresolved? Under Narendra Modi, India’s pivot to a repressive and militaristic brand of Hindu nationalism has resulted in heightened communal violence and discrimination against Muslims. This paints a grim picture for any prospects of constructive and fruitful engagement between the two countries. If recent events, principally Pakistan’s first ever absence from the CFM meeting are anything to go by, India’s entry into the organisation will merely provide a larger stage upon which their historic rivalry could play out.